article about any individual. I’ ve rather been used to issuing press releases, commenting and analysing national issues in the media, particularly on issues bordering on good governance, political space, the environment, et al. But I am honestly persuaded to write about Governor Chibuike Rotimi Amaechi of Rivers State. I think that for someone I have known and watched his roles and rise in the political arena in the last quarter of a century or so, surviving the breath taking risks in the sharks infested waters of our home-made political environment, and remaining alive to clock 50 years is marvelous in our eyes. 50years of intuitive drive, navigating through poverty and deprivity of the good things of life in comparison to his peers who attended the Sea Shell Nursery School, Port Harcourt Primary School, Enitonia High School, Baptist High School, Stella Marris College and Comprehensive High School, all in the industrial city of Port Harcourt where the children of the elites and the middle class of the 70s had not just the privilege, but the right to attend these schools, as their parents were the commissioners, permanent secretaries, directors, management staffers in the oil companies, principals of grade “A” secondary schools and Headmasters/Headmistresses, captains of industry, bishops and senior pastors, senior public servants like in the army, customs, police, immigration, prisons, big traders etc. Those were the days you would see your mates hopping into Citreon and Mercedes cars, only to ask God some questions in your milky hearts and only wishing. Well as children of the underprivileged, while you would hawk “Akamu and Akara” and plantain early in the morning to help parents raise money for your upkeep and school fees, you would see the world as above narrated with its divisions and where each belonged. You would finish your morning sales, get home, prepare for school, may be some distance on foot, may be often times get to school after 8 O’clock for the Headmaster’s cane for coming to school late. For the likes of Gov. Amaechi like many of us, the circumstance of our diverse poor background imbibed in him the culture of hard work, resilience, street wisdom, native intelligence, creativity, courage etc. Attending rural secondary schools in today’s Omuma in Rivers State and Imiringi in today’s Bayelsa State tells of the mobility of this young ebullient mind in search of a better berthing point to mould him for the future. After college, Amaechi’s drive for universal knowledge saw him in Nigeria’s premier science and technology university, the Rivers State University of Science and Technology from where he hopped out when he was offered a course he preferred better than the one he had started studying at the UST. This saw him in the English department of the University of Port Harcourt. 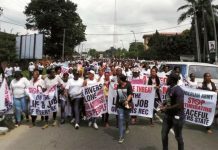 At the University of Port Harcourt, the activist in the young Amaechi would see him join the aluta crusade, rising to the National Association of Nigerian Students (NANS) activism, from where he and the likes of Labaran Maku, the former eloquent information minister plied their zeal in the fighting for the better welfare of the Nigerian Students and a better Nigeria as well. And that was like thirty years ago. Having graduated with an Honours Degree in English in 1987, Amaechi proceeded for NYSC and finished in 1988. As a corper, Rotimi Amaechi taught English in a secondary school. Those Amaechi taught English are today women in their forties. This is contribution to national development. As a young graduate with a Degree in English at the time only government television media operated in Nigeria, Amaechi with his John Momoh-like voice tried to get a job in the Nigerian Television Authority- NTA. But destiny would not allow him succeed there as God knew that he would have been tied down there. Trying other openings, he also sought to have one mentor him politically. By this time the Babangida’s political jingoism was on. Amaechi along the line met Dr. Peter Odili in whom he found one to follow. 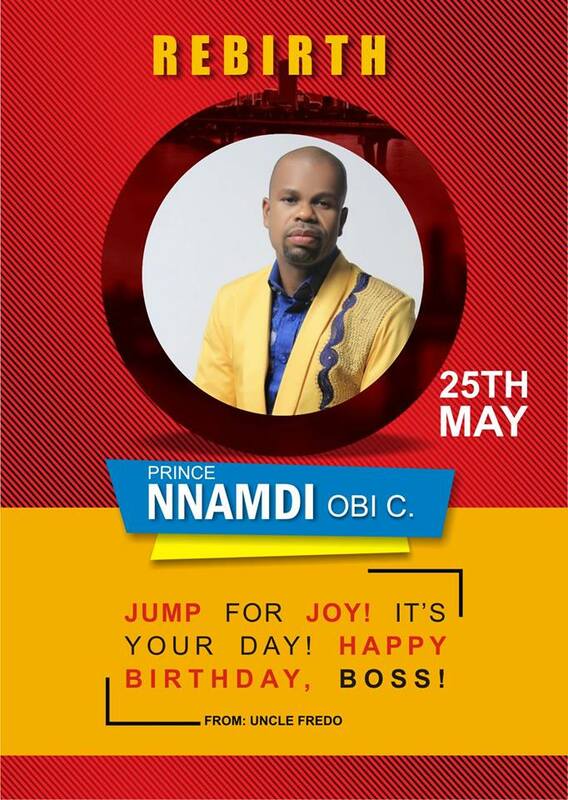 Odili employed him in his Pamo Clinic and gave him appointment as Public Relations Officer-PRO. Rotimi Amaechi was not just only a PRO, but also served Dr. Peter Odili as a political assistant. Odili saw in Amaechi a veritable political son, in whom he was well pleased, and Rotimi served Dr. Odili diligently and intelligently. To cut the long story short, by the time Chief Rufus Ada George secured the National Republican Convention-NRC ticket to run as governor of Rivers State and chose Dr. Peter Odili as running mate, the young Amaechi added so much value to the fortunes of Chief Ada-George and Dr. Peter Odili to the extent of almost losing his life at the hands of party men and women at the NRC Secretariat at Isiokpo, save for a lorry laden with heavy cargo which he outran his chasers and clung unto and escaped to Elele. 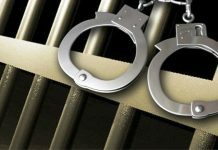 I was an eye witness as the vehicle I was travelling in to Owerri stopped because of the number of assailants chasing him with machetes, clubs and stones. For Odili’s political interest, Amaechi took all sorts of risks for the person and cause he believed in. Nobody believed Ada George and Odili would win the election. Chief Rufus Ada-George having become the governor of Rivers State, wanted to make Chibuike Amaechi a commissioner but for his very young age. He was asked to nominate any person of his choice to represent Ikwere LGA in the state executive council. Amaechi nominated his first cousin, Barr. Celestine Omehia who was given the education portfolio in the Ada George administration. 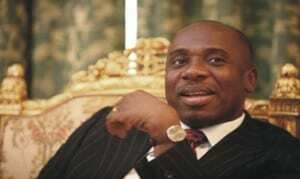 Chibuike Rotimi Amaechi was compensated with the post of special assistant on students affairs to Gov. Ada George. His master the deputy governor never considered any other person capable for the post of personal assistant but Rotimi. I do not know where also this has happened in Nigeria, one person serving a governor and deputy at the same time. And he did it very well. No leakage. Rotimi was also appointed to the Board of Risonpalm Ltd, the largest oil palm and milling company in the whole of Africa. These three positions he held same time at the age of 25 years or thereabouts. Gov. Rotimi Amaechi was at a time state secretary of a political party in River State. Dr. Odili’ interest in Ikwere and indeed the rest of the state was managed by Amaechi and very well to the chagrin of many. The point I’m trying to make here is that once Amaechi believes in a cause, he stakes his all for it. Amaechi believes in success through hard work, strategic thinking and planning. By 1998 when the Gen Abdulsalami Abubakar regime lifted the ban on political activities, Gov. Amaechi joined his oga Odili to wrestle power from the other contenders in the People’s Democratic Party – PDP contest for the Government House Port Harcourt. While Dr. Peter Odili won the governorship election in Rivers State, his godson Rotimi Amaechi who contested elections for the Rivers State House of Assembly lost the election in the ballot box and not convinced with the loss at the polls, headed to the election tribunal and won. As member of the House of Assembly, Amaechi’s colleagues were convinced in his capacity and ability to lead them and elected him speaker. As speaker of the Rivers State House of Assembly, the Rt. Hon. Chibuike Rotimi Amaechi shown like a million stars to the admiration of his colleague speakers in Nigeria who went on to elect him to chair their conference of speakers of Nigeria’s Houses of Assembly. Amaechi’s confidence among his colleagues soured to the extent that he was re-elected to lead them for a second term. As speaker of the Rivers State Legislature, Rt. Hon. Chibuike Amaechi caused a fantastically cordial relationship and harmony between the legislative and the executive arms of government in River State. His dogged fighting spirit was to be put into test again after he won the PDP gubernatorial primaries and a k-leg, a mysterious political “disability” emerged from the blues and Amaechi’s mandate to fly Rivers State PDP gubernatorial flag was terminated and his cousin Barr. Celestine Omehia was handed the mandate to run the election. This the Rt. Hon. Amaechi challenged in court and the Supreme Court of Nigeria in its landmark judgement of 25th October 2007 retrieved Amaechi’s mandate and ordered his immediate swearing in as the authentic governor. As governor, His Excellency, Rt. Hon. 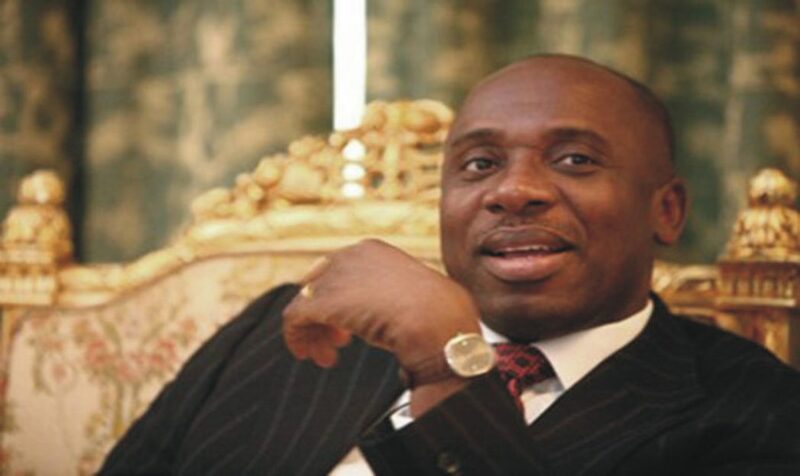 Chibuike Rotimi Amaechi – CON even when nobody including his followers ever believed he would perform at all, went on to shock the peoples and inhabitants of the state with his delivering of the goods of democracy. 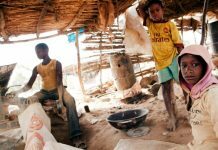 This owed to the fact that the government that ruled the state from 1999 to 2007 was bereft of ideas of how to put the state in the right pedestal of growth and development. Gov. Amaechi’s government transformed the state infrastructuraly in every sector, from education, roads, flyovers, bridges, health, agriculture, housing, sports, urban renewal, design and creation of a new model city, power etc. But did Nigerians not see what he did with regards to the security of lives and property? His stance on militancy and other forms of criminality which earned him the sobriquet of “ Island of stability in the Niger Delta Region during the Late President Umar Yar’Adua’s regime. Amaechi went into the den of Ateke Tom in his Okochiri forest and chased him away and built a hospital and school there. On education, not only did Gov. Amaechi build the model primary and secondary schools, he went on to employ a mammoth thirteen thousand teachers to fill the almost empty teaching spaces in the primary and secondary schools in the state. As a National President of a college alumni association, I am a witness as to the recurring request of my Alma mater each time we went on our annual home coming to our school. 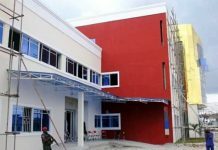 In Rivers State today, the Amaechi’s administration has awarded more than 500 model primary school buildings with about 300 completed. The children of the poor today are attending Amaechi’s model secondary school free of charge, while the parents of their peers in private secondary school cough out between six hundred thousand to one million naira per term. Gov. Amaechi has built more than 200 model Health centres in Rivers State, with free medical programmes for pregnant mothers even up to government picking up the bills for caesarian sessions. Children up to five years and senior citizens also enjoy free medical programme. On agriculture, Amaechi imported the modern integrated agricultural farm called the Songhai farm. The farm in Sakpenwa Tai in Rivers State also has integrated in it a hospitality resort and facilities for conference and retreat. This is indeed a sight to behold. This is aside the modern fish farms in kalabari and other places in River State. On roads, there is hardly any state in Nigeria that has in the last seven and half years of Gov. Amaechi’s reign built more roads with drainages, bridges, fly overs. A visit round Rivers State will attest to the extent of work carried out in this area. Talk about sports, not only did the administration of Gov. Amaechi support youth development through sports, he took a giant stride in developing sports infrastructure. He went on to build a 45,000 capacity stadium with games village in the new Greater Port Harcourt. The state hosted the National sports festival there. In the power sector, several sub-stations were built by the Amaechi administration. Gov. Amaechi also went ahead to expand the state independent power project. Today river state generates about 500mw of power. Talk about housing the Gov. Amaechi regime’s partnership with First Bank is indeed a wow! So also is a peep into what the Greater PortHarcourt will look like in the next fifteen to twenty five years. Space will certainly not permit me enunciate all my eyes have seen in the last seven and half years of Amaechi’s revolution in Rivers State. On national leadership, Gov. Rotimi Amaechi’s colleague governors’ confidence in him to lead them after Gov. Bukola Saraki, threw him up more at the national stage who on their behalf of his colleagues advocated transparency in the management of the national treasury. This was the stage that created the frost relationship between him, Pres. Goodluck Jonathan GCFR and the presidency. Gov. Chibuike Amaechi’s national interest certainly is above primordial tribal interests and settlement. This is the stuff he is made of, which made the south-south people accuse him of betraying his brother, President Jonathan, and whichhis political opponents and adversaries in Rivers State capitalized to whip up hate sentiments in Rivers State and the South South and indeed the South east against him. The Nigerian Governors’ Forum was later to re-elect him chairman when his tenure elapsed. 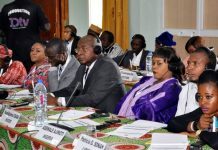 As a matter of factly, observers did not believe he was going to be re-elected, but his eventual re-election as chair of the forum underscored his high regards among majority of his colleague governors. To the utter consternation of all, Gov. Amaechi beat the trap to mess him up in the PDP when he lost the leadership of the party following the ouster of the Chief G. U Ake led PDP exco in Rivers state. He led other four governors to join the newly formed All Progressives Congress (APC) and thereby altering the whole political equation in Nigeria. Speculations were rife that he wanted to contest the presidency. Political rumour mills also had it that he was eyeing the position of Vice President in the 2015 general elections. The roles he played in the build up to the APC convention which saw the emergence of Gen. Muhammadu Buhari GCFR, as presidential candidate of the party left no one in doubts that Amaechi is imbued with political wisdom and understanding of socio-political dynamics. That Gov. Amaechi and Ashiwaju Ahmed Bola Tinubu would blend in symphony for the political future of this country left many wondering and imagining. That Amaechi went on to accept to be the campaign manager of the Buhari Campaign Organization as Director General left many in conclusion that he was finished politically, and that he would be used and dumped as that position had no much useful relevance. APC having won the 2015 presidential election, the issue of who gets what and how has now taken the center stage, with the issue of zoning political positions taking dimensions that have left Nigerians watching and wondering. I believe that this time is very crucial in the life and existence of the new national party, the APC. It is the time to deligently considers every critical variables in order to compensate people according to their inputs and works. Political zones should also be allotted positions in the manner that people from the zones should feel carried along. For us in the South South geo-political zone, we have a strong feeling and agitation that the only politically relevant position which is visible in the scheme is that of the Office of the Secretary to the Government of the Federation. If Amaechi is given an office that will hide him away, it will certainly hurt his party’s fortune in River State and the South-South region. And this is critical. He is the now the South South leader in this dispensation. So he must not be diminished. Amaechi’s detractors will usually use his strength against him and to disparage his personality. They say he talks too much, but it is a truism that he talks as too much of what he thinks not right and proper, like the East- West Road that was not moving at a time. Any person who does not wish Amaechi to be SGF does not wish the South-South well as he is the only one that has the capacity to fight for our rights and get it. If Gen. Muhammadu Buhari makes a choice of Gov. Amaechi as his SGF, his administration will certainly be better for it. Amaechi’s age is an advantage. He is well educated and armed with a Masters degree in English. Having built bridges from Port Harcourt across every State capital in Nigeria is an immeasurable value. A Speaker for eight years and Governor for another eight years without break is a record. Turning the golden age of 50 on this 27th May, and exactly 2 days to the inauguration of Gen. Muhammadu Buhari as Nigeria’s 5th Republican Civilian president, the best birthday gift to His Excellency, Rt. Hon Chibuike Rotimi Amaechi-CON is certainly the gold medal of the office of the secretary to the Government of the Federation. High Chief Chukumele is the convener and leader of the South-South Progressives Consultative Forum, and lives in Port Harcourt.